Live-Seminar: Sicher sprechen - souverän präsentieren! 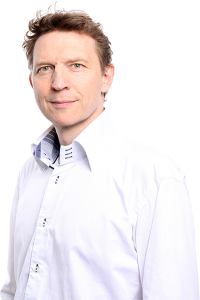 My name is Thomas Friebe, I'm a professional speaker from Cologne and help you master your presentation and your performance with confidence. Here you will learn to overcome your stage fright and to inspire others with your presentation. It does not matter if you are in front of a lecture at the school, a performance as a musician or an important business presentation: you will convince your audience! How smart are you? Do you sometimes get annoyed when someone brazenly "pins" on you, that you do not react with enough confidence, do not find the right words or even do the wrong thing, because you are just so perplexed right now? Afterwards you come up with a lot of answers and you say: "Oh, I would have said THIS or THAT!" With the following tips and tricks, this will not happen to you in the future. Most people hate small talk. I felt the same way - I never knew how to talk to strangers. Of course, we all know that the nuts and bolts are the right contacts - not just in business. But how do these contacts make? How to talk to the right people at the right time. Do not be afraid of small talk. Watch my video on this. "You speak as if you have a potato in your mouth!" ... this is not exactly a compliment. But should you have heard this, or something similar, from somebody, then here are some helpful tips on how to speak quickly and easily, clearly and clearly with and to others. Watch the video here. Do your days have too few hours? Do you often have the feeling in the evening that you have not achieved enough? Learn more about how to work more effectively, do more in less time, and experience even more joy and less stress, in this video. On Youtube and here in the blog I publish regularly new contributions. If you like, I like to send you an info as soon as new content is available: Yes, I would like to be informed about news. , to fully develop your skills in presentation and presentation, so that you too can inspire others for your ideas, suggestions and products. In order to achieve these goals, I commit myself, in personal coaching, in seminars and with my products - always with full energy and passion. Watch my new video course against stage fright! Feel free to contact me! Call me on 0221-29211880 or write me a message. I am looking forward to meeting you in person soon.